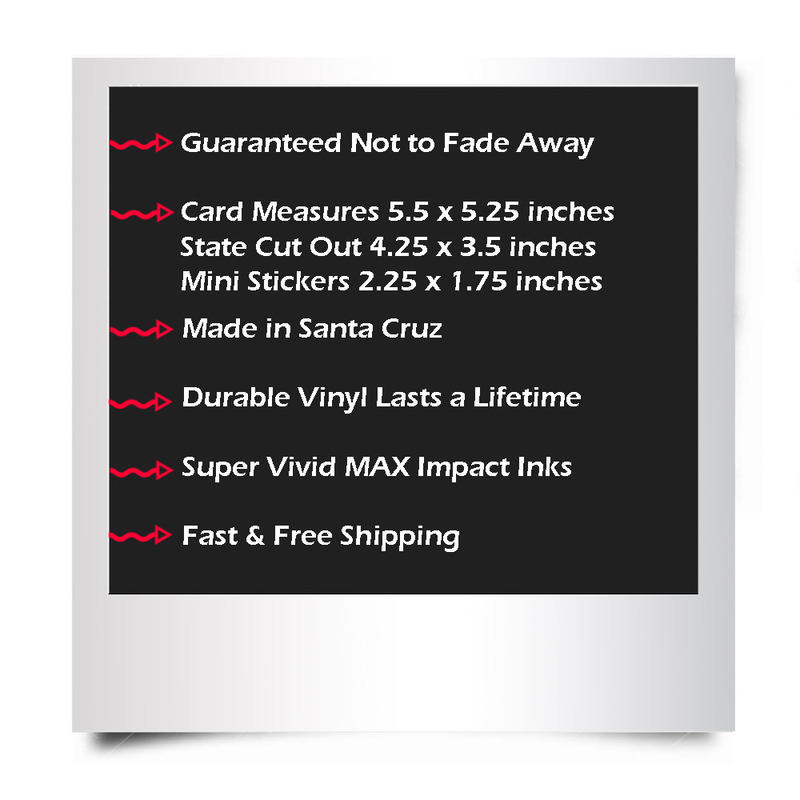 This multiple magnet set has three contour cut stickers applied to our strong magnetic material and trimmed by hand. 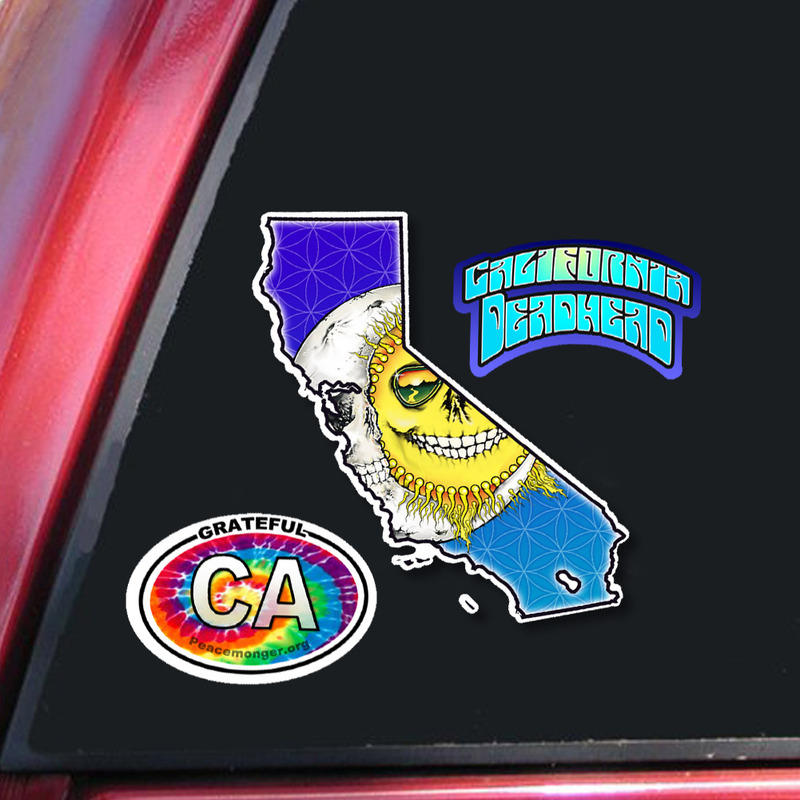 The California contour cut magnet has the classic Jerry Jaspar Skeleton Sun and Moon against a psychedelic flower of life background. 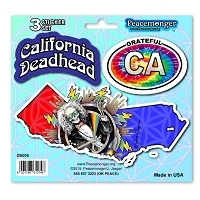 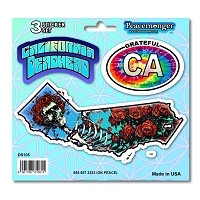 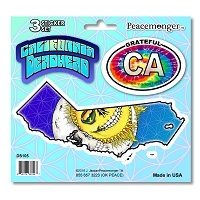 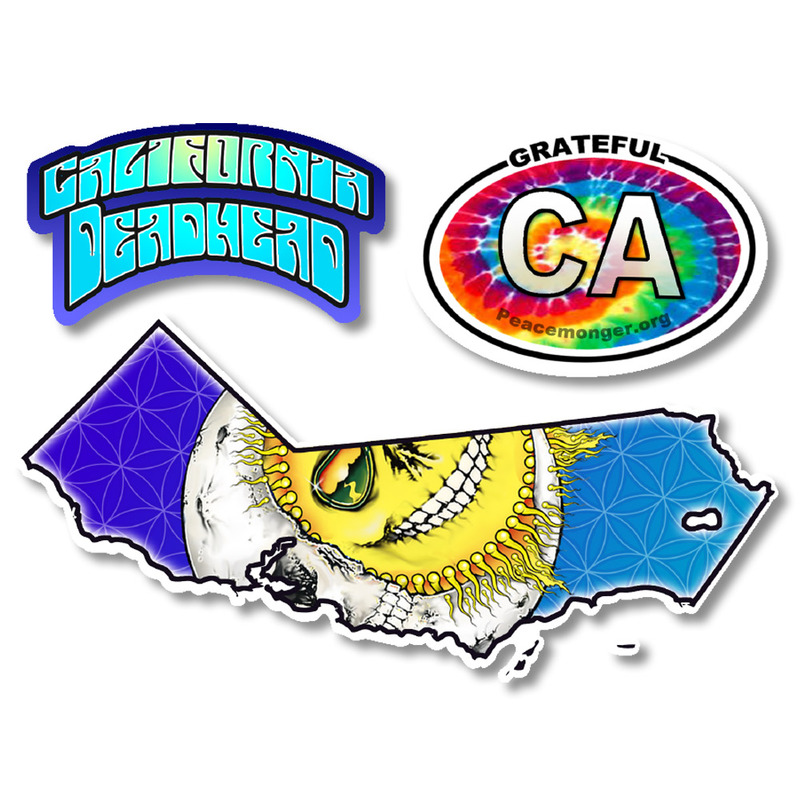 Another magnet has trippy lettering "California Deadhead". 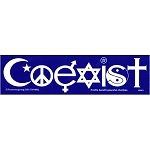 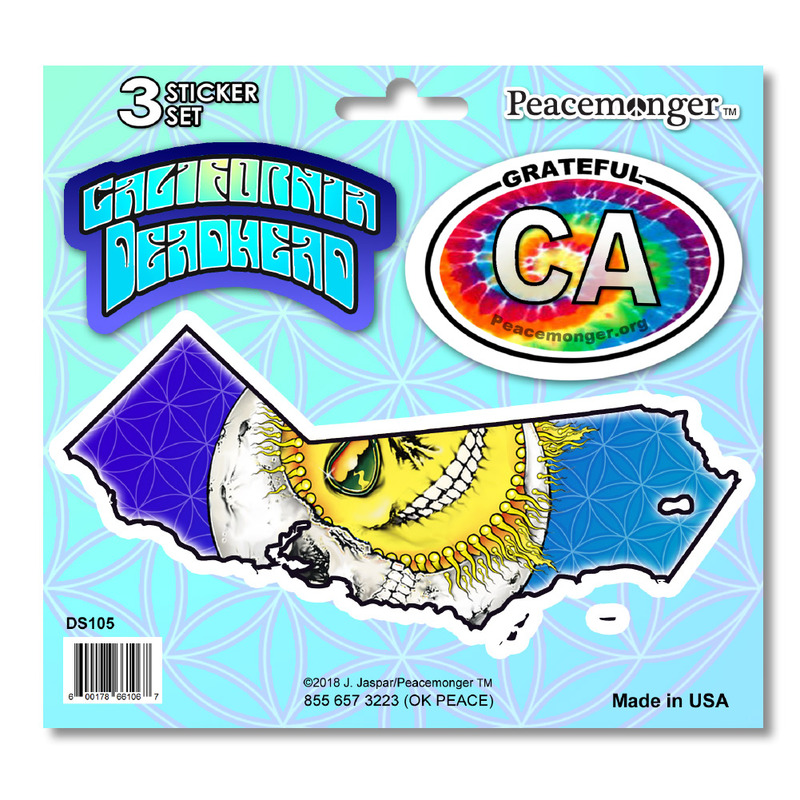 A third oval magnet has a tie dye background with "Grateful CA" lettering.